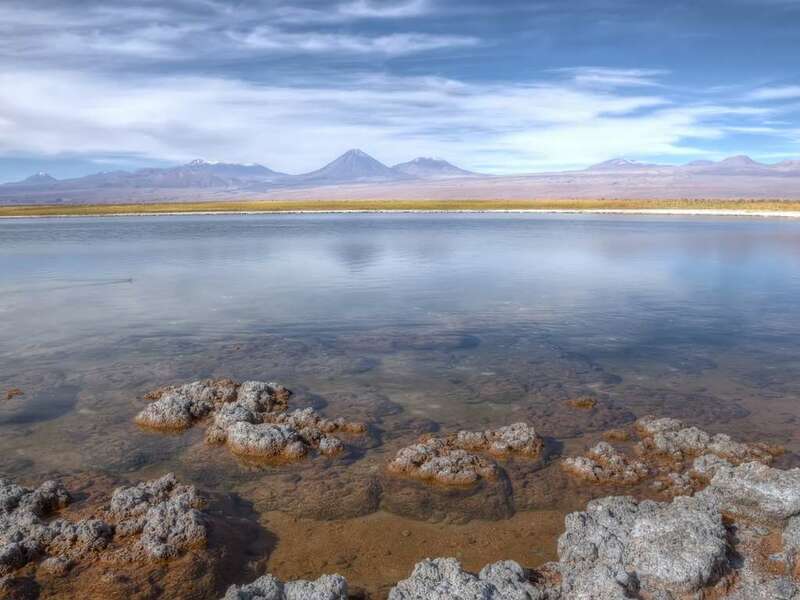 Embark on a half day excursion to a very unique area of Chile, the Atacama Salt Flats, where relaxation and a sense of adventure mix quite nicely. 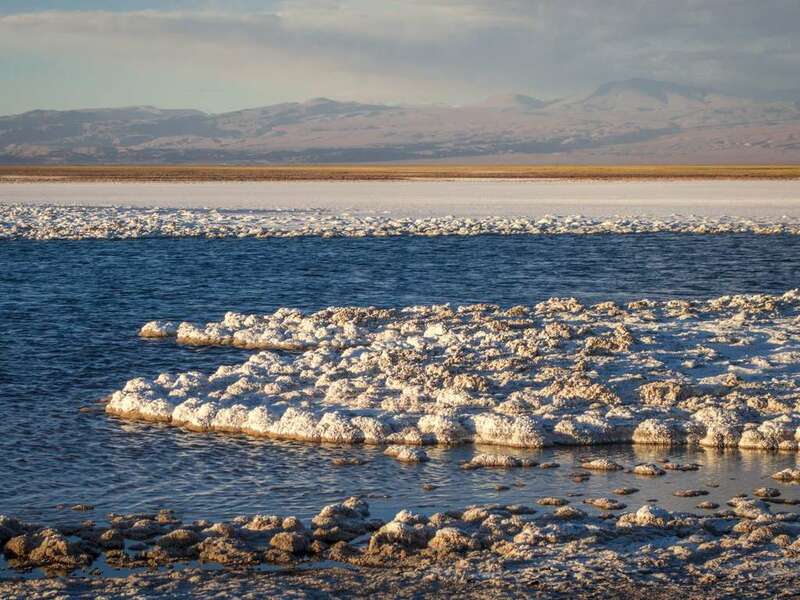 Our travels to the Salt Flats will contain 3 bodies of vivid blue water that will encapsulate the beauty of this region, as well as allow for some serious relaxation and exploration. Our first destination, Laguna Cejar, a mere sinkhole in the middle of the desert, transforms into one of the most unique and exquisite lakes in the world. Popular not only for the year-round warm temperatures, but also because of the high concentration of salt which allows its guests to float effortlessly on the surface. As one adventurer stated, "Never made it to the Dead Sea? Don't fret. 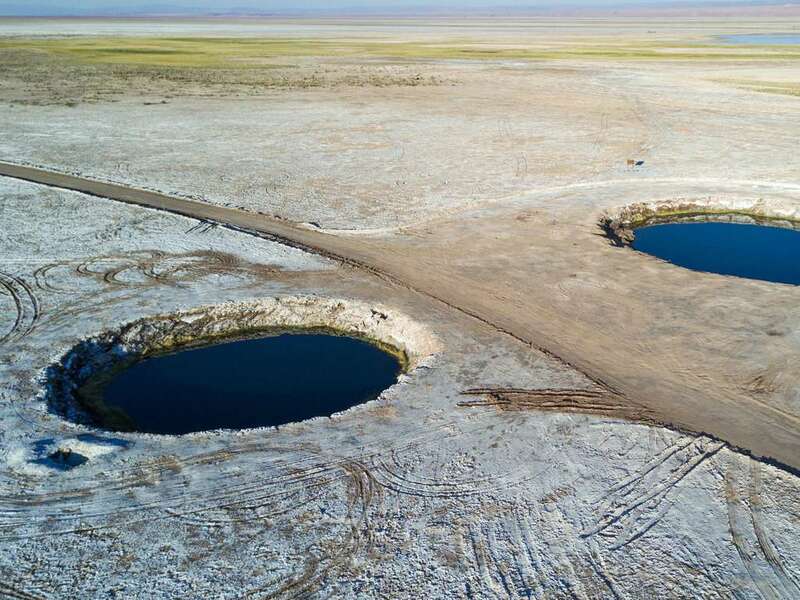 Now you can recreate your own floating experience at Lake Cejar." 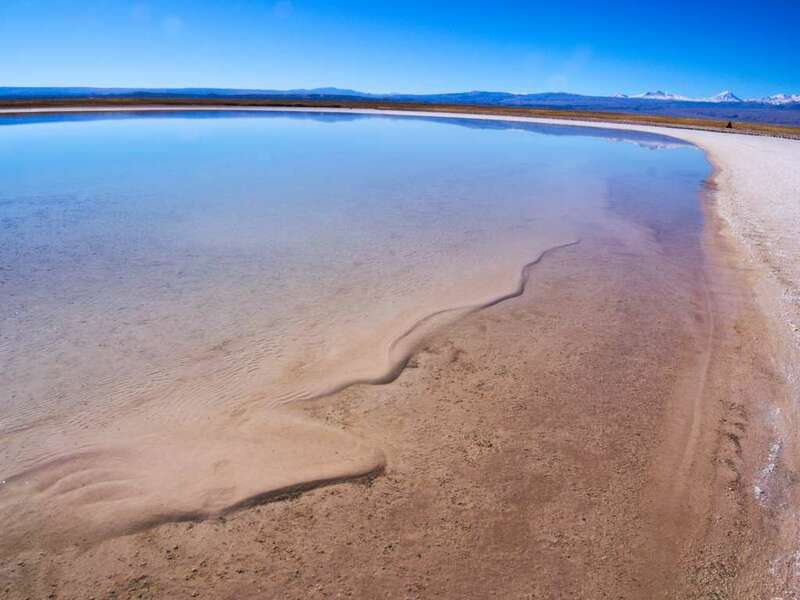 After a dip in the therapeutic waters, we will continue our journey to Ojos del Salar, where we can rinse ourselves of the salt while enjoying the visually stunning pools of water that resemble two brilliantly colored eyes in the heart of the desert. Our tour ends with a picturesque sunset over Lake Tebinquinche, where a complimentary cocktail can help us wash down the exceptional views.